Aeronet is multi-currency software allowing buying and selling in any currency automatically calculating the exchange value. Manage customer discounts at the touch of a button. 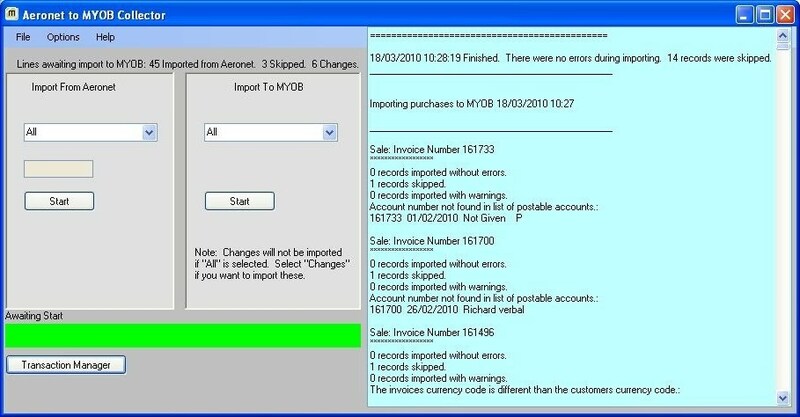 Easily export financial data into specialized accounting software such as MYOB.